Please type your desired tags, e.g. Biochemistry and Chemical Biology, Materials and Polymers, Economics, Terrorism, Computer Science, Cancer Genomics, Technical Communication, Technical Writing, Supply Chain, Organizations, Strategy and International Management, structural dynamics, Romantic Relationships, Creative Writing, Memory Studies, Games Development, and etc. Supervised Dr. Jo Takayama, visiting researcher in ATEC program, 2007 - 2009. The animations Dr. Takayama produced at UTD have been screened at international conferences and exhibitions, such as ACM SIGGRAPH Asia in Singapore, 5th Istanbul Animation Festival in Turkey, and ASIAGRAPH 2008 in Japan, contributing to the ATEC program’s international recognition. Showcase organizer, 2006. Organized the first ATEC Showcase, a juried exhibition of animations, films, games, images, sounds, and interactive arts by ATEC graduate and undergraduate students. Midori Kitagawa has been teaching and researching computer animation and motion capture as a full-time faculty member for the last 15 years. The majority of her instructional effort at UT Dallas has been invested into the animation curriculum within the Arts and Technology (ATEC) Program in the School of Arts and Humanities. The animation curriculum is designed to prepare graduate and undergraduate students in the ATEC program for professional opportunities in the animation, simulation, and game industries, and academia. 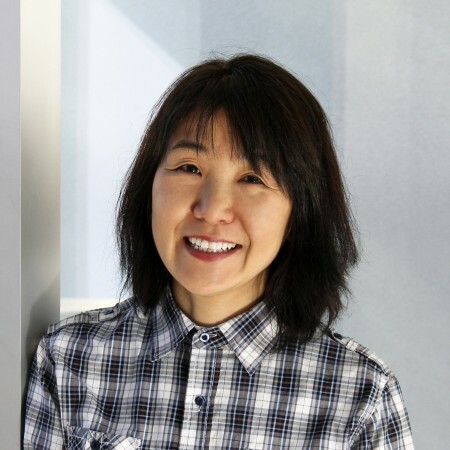 Dr. Midori Kitagawa's current research interests are in motion capture and scientific visualization and her most note-worthy accomplishment in 2008 was finishing the manuscript for Mocap for Artists: Workflow and Techniques for Motion Capture, published by Focal Press. I have been teaching and researching motion capture animation and the results were published in MoCap for Artists: Workflow and Techniques for Motion Capture (Focal Press, 2008). For the Conversational Character Robot project, I created a unique 3D facial rig that can be animated by key-framing and motion capture data. In addition, I developed a method to extract the head motion from facial capture data to isolate the motion data of facial expressions. Both of which were described in the book MoCap for Artists. I developed the Branching Object Generation and Animation System (BOGAS) which generates and animates branching structures, such as trees and plants, originally as my Masters thesis research. I continued to work on BOGAS during my postdoctoral research and beyond, the results from the visualization projects conducted with BOGAS have been published on journals and at conferences, such as ACM SIGGRAPH (Special Interest Group on Graphics). I was a Co-PI for interactive multimedia instructional projects, On-line Agroecosystem Database for Multimedia Teaching of Agricultural and Cultural Diversity in Holmes County, Ohio and Extensible Electronic Chemistry Study Resource, both of which were funded by the Battelle Endowment for Technology and Human Affairs Grant Program. I developed an on-line interactive game that teaches Amish farming practices and culture with the funding from the Ministry of Education of Japan. Phillip Car M.F.A. 2009 Christina Lanning	M.F.A. 2009	Ph.D. student, UTD Wei Wei Zhang	M.F.A. 2009	Ph.D. student, UTD Jun Chi M.F.A. 2008	Lecturer, UTD Singkhum Khamonouane	M.F.A. 2008	Walt Disney Studio, Modeler Joel Ladella M.F.A. 2008	Invision Media, Graphic Artist Patrick Dunnigan	M.F.A. 2007	North American Conveyor Co., Visual Database Eng. Houdini software donation from Side Effects, Inc.